Brazil is known for having some of the best beaches in the world, with most of the fame going to the ones farther south including Rio and Florianopolis. 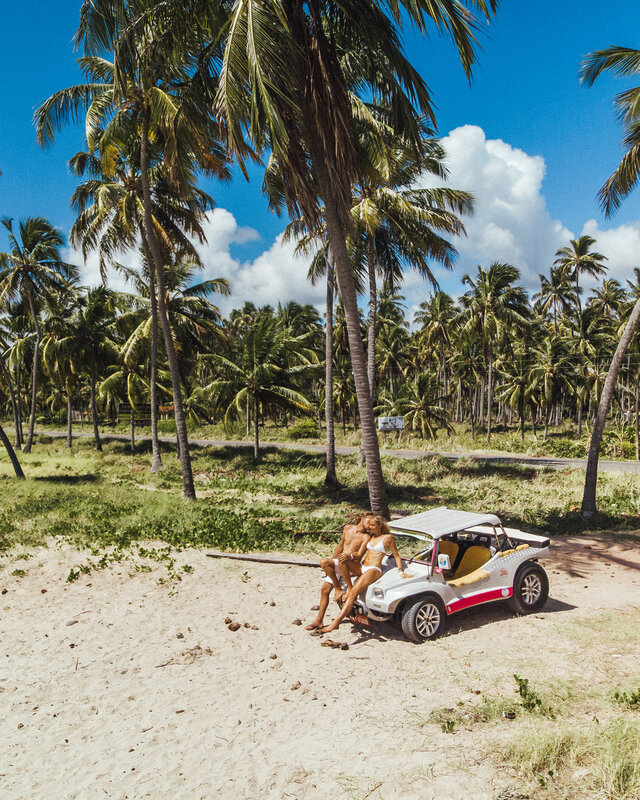 And while we visited those areas and thoroughly enjoyed them, we felt there was something really special about the beaches up north in the State of Alagoas. The beaches here are absolutely pristine with white sand, clear turquoise water, and the best part, pretty much empty of all other tourists! While visiting here we saw our first ever palm tree jungle and the most expansive tide pools we’d ever explored (We’re talking miles and miles people). We were so happy we decided to come north to experience these beaches as they really are a tropical paradise. If your wondering the state of Alagoas is directly below Recife with the two most prominent beach towns of Maragogi and Japaratinga. They are both within minutes of each other and about 1.5-2 hour drive south of Recife. Both towns are connected by beach so either is a perfect option for enjoying everything the destination has to offer. Then either renting a car, or arranging for a transfer down to the area. If you are staying with a resort, you can typically arrange for a transfer service through the booking, which is what we did. But if you are looking for other services - we suggest starting here. 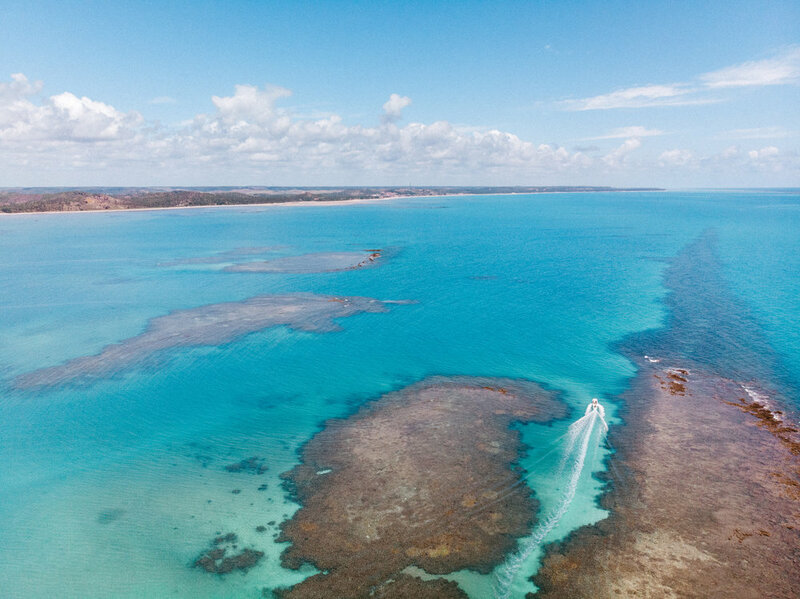 There are a lot of places to stay in the Recife area, but the farther down south you go in the state of Alagoas, closer to Maragogi and Japaratinga, the bluer the water and less crowded the beaches become. We stayed at the Salinas resorts in the area and were so pleased with our decision. For those of you who have traveled throughout America and the Caribbean, you may be well accustomed to the all-inclusive resort concept. Here in Brazil, however, it’s fairly new and the Salinas portfolio are some of the first to offer it. Their Maragogi site is more geared towards all types of travelers, with their newest resort in Japaratinga centered on adults only. 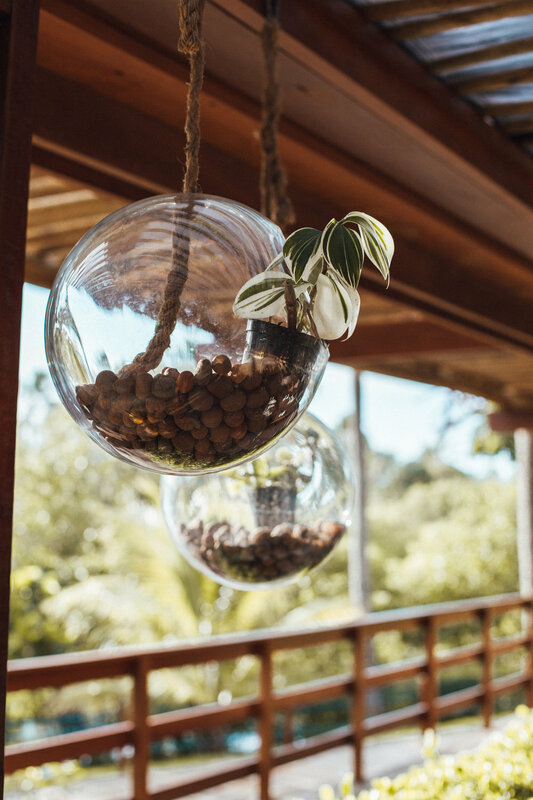 Both are incredibly beautiful and offer you access to everything this location has to offer including tours & adventure, delicious tropical food, and a relaxed chic atmosphere to spend your days. You can get started in finding your place here. The vibes here are unique because they are set at the junction of river and beach, meaning you have access to both. This allows you to enjoy sunrise from either. Most of the tours, whether all day or a few hours, start out in the morning to beat the afternoon heat. But of course that’s after you had the chance to dig into some of their endless banquets of food. Especially in the morning, they had all the tropical fruits you could imagine! Afternoon we were usually getting back from a day tour and found it ideal to just relax in one of their many lounge locations. They have massive properties in both Maragogi and Japaratinga locations filled with cabanas, cushy recliners, umbrellas, and every kind of plush beach furniture imaginable. It’s not hard to find a secluded alcove to either catch some rays, or hang in the shade while you watch the waves roll in. Another one of our favorite activities to indulge in after a long adventure filled day, was the on site spa service. We stopped in for their ultimate relaxation services of foot baths, massages, and facials just about every day! With a lot to choose from you could have a different service every day of the week! You can’t miss the sunsets here because they are truly a magical experience. With coastlines that already stretch as long as the eye can see, when sunset hits it perfectly reflects on the shallow banks for an absolutely endless sunset. You can’t tell where the sky ends and the beach starts which made for sunsets we’ll never ever forget. Buggy ride - If you are not exactly sure what a buggy is (we weren’t before we went) it’s basically a mix between a four wheeler and a golf cart. It’s the perfect vehicle for zooming down empty stretched of beaches and taking you through the small towns dotting the coast. We had a guide that drove us though and allowed us to see a lot of different beaches/view points in one day. Boat - You can also arrange for a boat because, depending on the site, some beaches are only accessible by water. 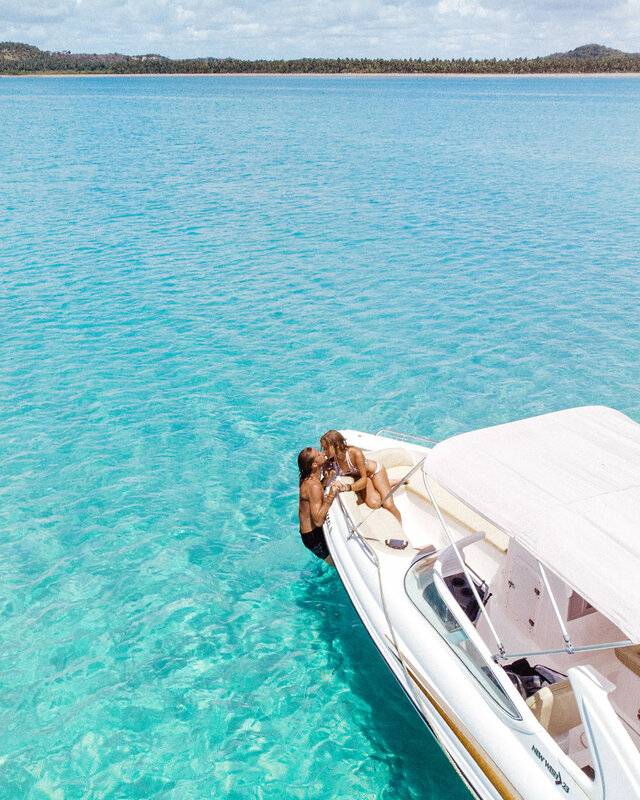 We would definitely recommend planning to explore the open waters, and a boat can make that so easy. We’re always surprised at how much we appreciate it when we get the chance to see a place by land and sea. Rent a car - This would would certainly give you a lot of freedom to explore farther along the coast if your interested. We were able to cover most ground just by buggy or boat, though we did have some longer rides, so entirely up to you. We would not say it is necessary to have a car in this area, but it certainly wouldn’t be a bad option either. It may also help if you don’t have a transfer arranged through your hotel from Recife Airport. Sao Bento - Very close to Maragogi, Sao Bento Beach offers a tunnel of palm trees running parallel to the coast for miles and a really nice sand bar to walk out onto. We ended up racing the buggy through these palm tree lanes which was a thrill. Praia de Japaratinga - This offers a stunning cliff jutting out to one side which we really enjoyed. A lot of Maragogi and Japaratinga can somewhat flat, but this offered some different terrain and beautiful horizons. Top of the Palm Tree Orchards - This is something you can do as a part of a tour, or as a special activity. There are a few viewpoints that allow you to see the endless rows of palm trees and the reef from above. You can check out the gazebo above the restaurant & inn linked here which is where we went. Barreiras do Boqueirao - If your looking for the perfect crescent beaches this is what Barreiras do Boqueirao Beach offers. The beach has a little more orange red sand that’s a nice contrast from all the other white sand beaches around. Definitely one of the more unique beaches in the area. Maragogi Beach - The best part of Maragogi beach is the section where it meets the river head called Camacho Beach. At low tide it creates a massive sand bank island thats really beautiful. This was our absolute favorite spot for sunset. Exploring the Open Water - You can take out a boat, wind surf, paddle board, or even kayak but definitely plan to explore the open waters. Take advantage of the reef which makes it so easy to explore without having to worry about the crashing waves swallowing you up. Also the waters are beyond gorgeous so you’ll want to spend every moment soaking it up! Experience High & Low Tide at the Same Spot - Something we weren’t expecting at all was how interesting it was to see the different places at high and low tide. There’s a dramatic difference in the shore line that can lead to either infinitely long beaches at low tide, or glass pools at high tide. Try taking a stroll out in the morning and evening and you’ll be amazed at the different views you see.